This online auction features ANTIQUE: Oak drop leaf table and four chairs, 2 needlepoint seat chairs and 2 cane seat chairs; Majolica; Corona typewriter. VINTAGE: Eastman oak roll top students desk; crockery, ART: Jeanne Holgate complete set of Flowers of America Prints with custom wood storage case; Maxfield Parish prints in original frames. FURNITURE: White Wicker Florida Room Set. CRYSTAL/GLASS: Princess House, art, Waterford stemware; large amber glass jar; milk glass. CHINA: Haviland/Limoges dinner plates; 95 pieces Noritake "Alford" dish set; tea cups sets and assorted pieces. COLLECTIBLE: Steins/beer mugs; Goebel/Hummel; vintage lighters; pottery; ephemera; Norman Rockwell plates; Blue Mountain Pottery; table linens; Lladro; ceramics; tole trays; Lionel train tunnel; Cabbage Patch doll; milk can. TOOLS: Rockwell table saw. YARD AND GARDEN and much more! This online auction features vintage cameras, camera accessories, luggage, flat screen TV, costume jewelry, books, figurines, DVDs, CDs, wall art, board games, tools, vacuum, glassware, and much more. This online auction features MCM FURNISHINGS: Bruno Mathason Maria dining table, velvet couch in the style of Florence Knoll and more! ART: Originals by artists Harry Shapiro and Andrew Chesler paintings, watercolours by J. Sherman, Bernie Olsen pen and inks. 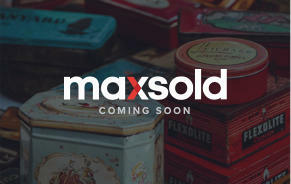 COLLECTIBLE: Stangl pottery; teacup sets; coins; wooden boxes; horse sculptures and figures; Lalique glass owls; vinyl. Knabe upright piano. CHINA: Jyoto, occupied Japan dish set and much more! This online auction features cups and saucers, Delft Holland Items, Mersman 2 Level End Tables, Ethan Allen Oval Coffee Table, Hitchcock Style Rocking Chair, Fender Stratocaster Electric Guitar, Vintage Drop Front Butlers Desk, Sterling Silver, Milk Glass, Vintage Oak Rocking Chair, Weber Gas Grill and much more! This online auction features CLOCKS: Mantle, table and wall clocks. ANTIQUE: Dolls, mechanical bank, ships barometer, hammered decorative plates. Brass samovar. RUGS: Wool runners made in Nepal. FURNITURE: Styles of George Nelson circa 1950 pieces. ART: Studio pottery and glass. SHOP TOOLS: Band saw and Delta Unisaw; fine craft wood. CHINA: Assorted Royal Austria, blue and white Asian and much more! This online auction features an Antique Dining Set. Globe Wernicke Barristers bookcase. Cameras. Mink Stole. Sewing Machine. Tools - Edison drill press. 14 K gold jewelry and much more! I got some real nice things for a very fair price. 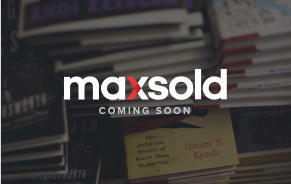 My parents have a lot of collectibles and they would benefit greatly by a maxsold sale. I would recommend to friends and family as a buyer because you can find some amazing deals. I try not to tell too many people because they will then be out bidding me. The woman who came to my apartment to decide if I have ""good stuff"" to make a sale profitable to both of us was great. Sarah, off hand without my my notes, I cannot recall her last name. She was very patient, I feel she explained the process very well. 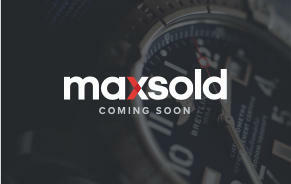 I am comfortable working with Maxsold. Settling my uncle's estate has been an emotional and challenging undertaking for me and my family. 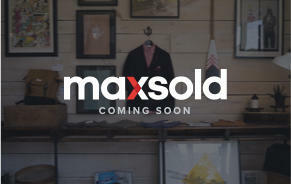 Thankfully, MaxSold helped take the work and worry out of distributing his belongings. They were willing to accommodate the logistics of the location and a few last-minute surprises without missing a beat. The pickup day crew were professional, organized, and really knew their business. It was a pleasure working with them, as well as the entire team behind the scenes. Nicholas Hatch and his team are extraordinary. They took care of just about everything. 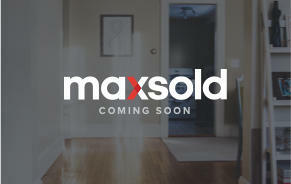 A heart felt THANK YOU to the MaxSold Team! I must say that I am totally impressed by your backend processes. Every question was answered quickly and thoroughly. Every change to lots after the auction went live was executed within hours. Your Client Tracking page provided all of the information I needed to stay up to date with the marketing being done on our behalf, the steps being taken in the process of the auction itself and I absolutely loved the metrics! So easy (and exciting) to watch the bid % of total lots and the total $ keep going up from day to day! 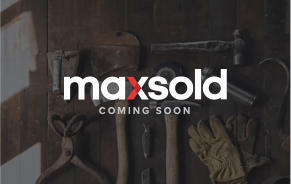 During the pick-up days we were constantly hearing from the winning bidders how easy it was to use the MaxSold site. Not only for bidding, but for questions about lots, process, directions to pick up, etc. 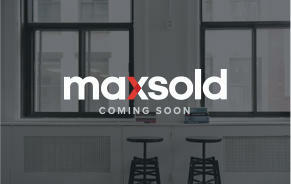 We were told over and over again how professional MaxSold was – all around! 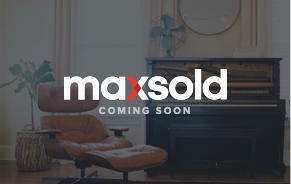 The auction ended thousands of dollars over my original expectations and our client is thrilled with the results. You guys are THE BEST!! They communicated very well throughout the whole process. It was a pleasure working with Sarah. She gave us some good ideas about creating lots for the sale. I liked seeing the analytics of the sale purchases and numbers of views.